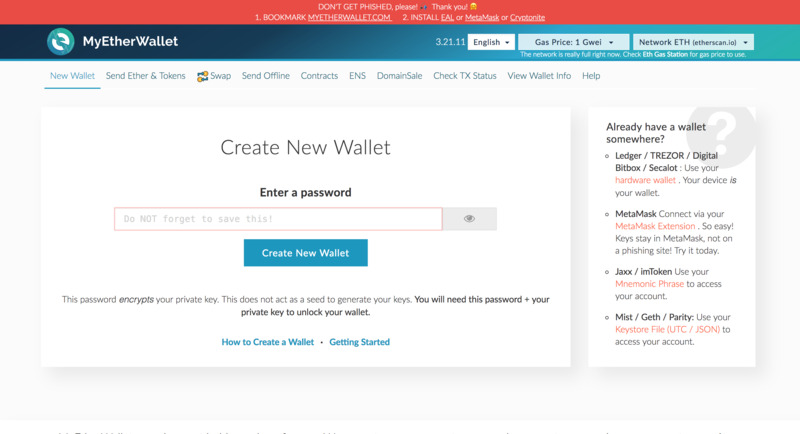 Enter a Password and click on Create New Wallet. You will need this password + your private key to unlock your wallet. 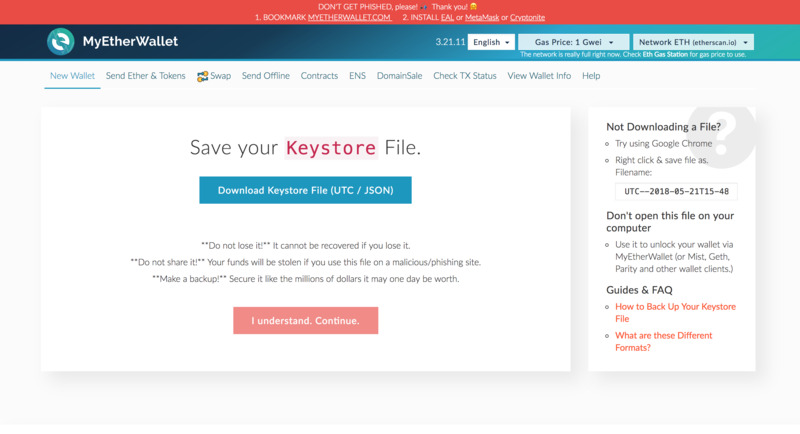 Download the Keystore file. Make sure this file is stored safely. You need this file to access account or the private keys. 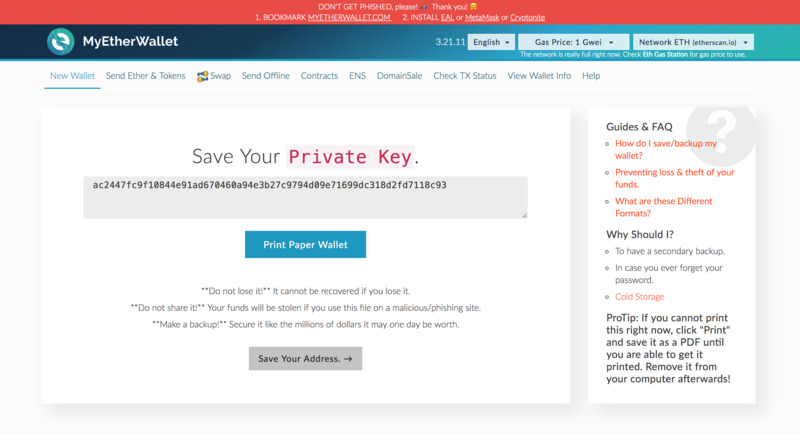 On the Next Page, You will get the Private Key, store the private in a safe place. You need the private key to access the account. Click on Keystore / JSON file. Upload the Keystore file, enter the password to access account or you can click on the private key and enter the private key obtained to access the wallet. 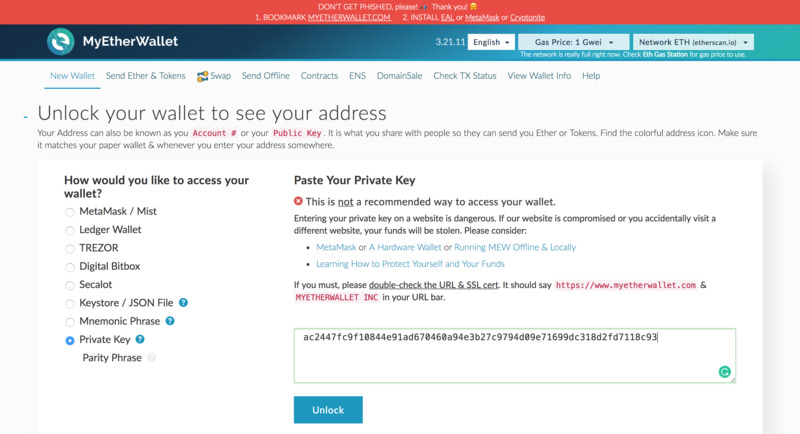 Only log in to MyEtherWallet if you want to send the Etherium or Token. 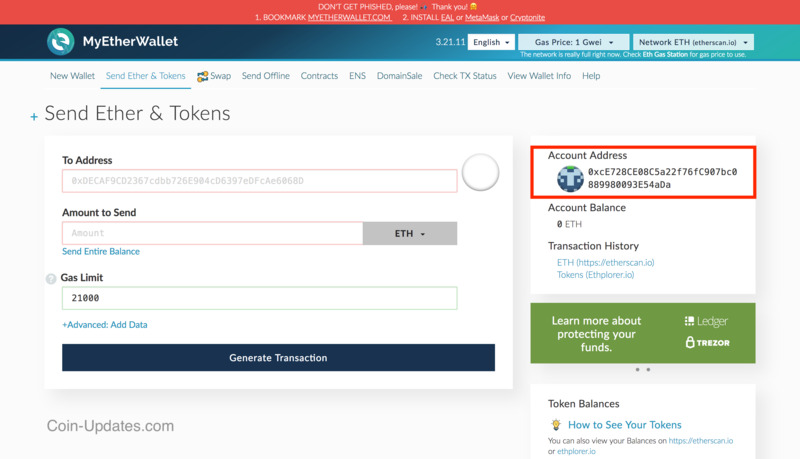 To check the balance you can use etherscan.io, Go to etherscan.io and enter the address to view the balance in the account.